“The overall experience is mesmerizing. To see these amazing pieces of art portrayed as a story throughout time on a large scale with crisp quality images, fantastic color and great sound, is simply a divine method of demonstrating the work of a renowned artist." 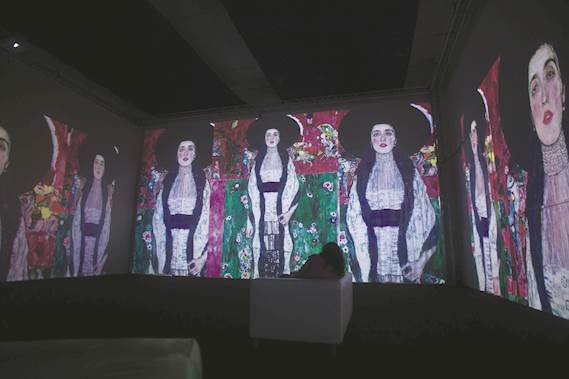 To create an immersive exhibition displaying spectacular art pieces by famous artist; Gustav Klimt: Klimt Experience. To inspire and deepen the knowledge of exhibitors. 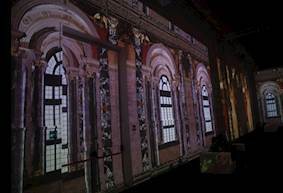 A successful immersive display of Gustav Klimt’s pieces in two different galleries in Italy demonstrating the power and beauty of his pieces.